In 2014, California Car Cover is celebrating its 25th year in business. Back in 1989, we opened a small warehouse in Van Nuys, Ca with a handful of employees and a few racks of car covers. We have grow to become the industry leader in custom fit car covers and it all due to all of our great customers that love cars just as much as we do. 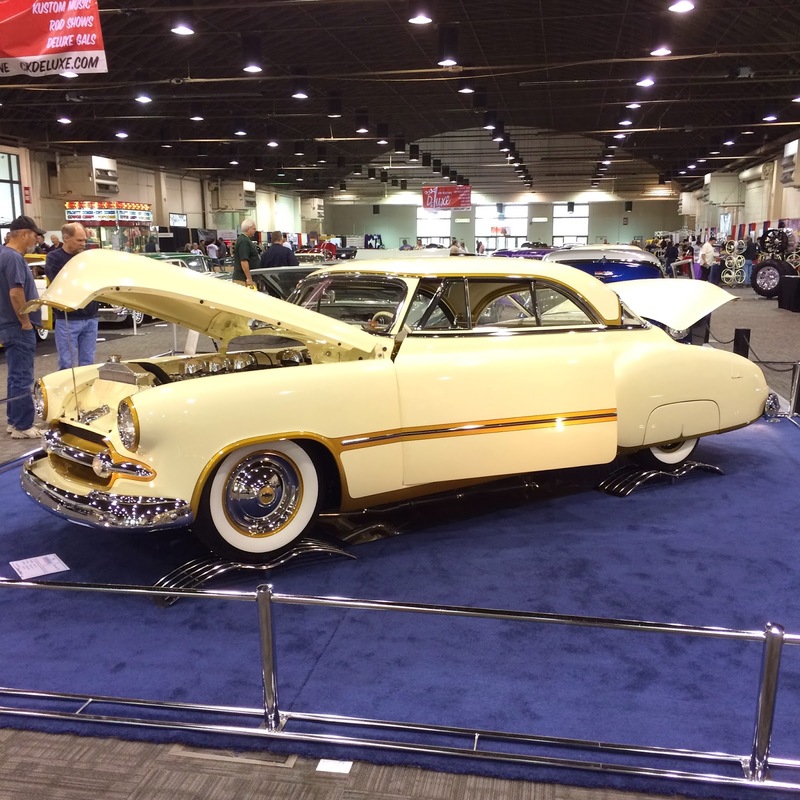 In addition to having a number of specials and promotions in our catalog to celebrate our silver anniversary, we are again hosting a Car Show Series at California Car Cover. Our events attract car enthusiasts of all makes and models to our store in Chatsworth, Ca. We already have five events on the calendar for this year and will hopefully be adding a few more if the calendar allows. We hope to see you at one (or all) of our events in 2014. As usual, we will be kicking off the Car Show Series with our 3rd Annual European Car Show. This event is hosted by our friends at dub-Nation.com and it always packs our parking lot with Audi, VW, and BMW enthusiasts from all over SoCal. The event will take place on Saturday, April 19th from 9am-1pm. There will be plenty of raffle prizes, local vendors and free admission for everyone. For the past few years, we have hosted an annual Chevy Camaro show, plus a Nova and Chevelle get together. This year we are combining both events and expanded the show to an all GM Muscle Car Show on Saturday, May 17th from 9am-1pm. The event will be open to all makes and models of GM muscle cars, new and old. So, whether you have an old Chevelle or a new Chevy Camaro, bring it on over to our GM muscle car event. We look forward to seeing a great group of GTOs, Firebirds, 442s, Corvettes and muhc more at our store. We will again be taking our summer break from shows due to the heat in SoCal. But we will be back at the end of summer for our annual 3rd Hot Rod Cruise Night on Wednesday, August 13th from 5pm-9pm. This after hours event does not really get going until sunset. This has been a very popular event in the San Fernando Valley. 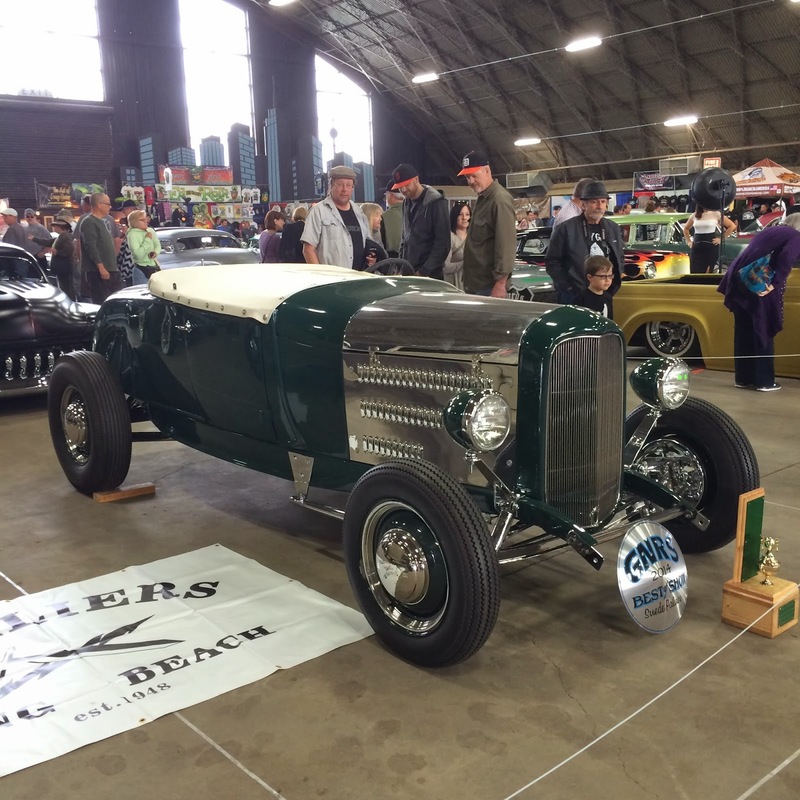 It includes a charity prize raffle, free admission and is open to all makes and models of custom cars. See you at 5pm at California Car Cover. 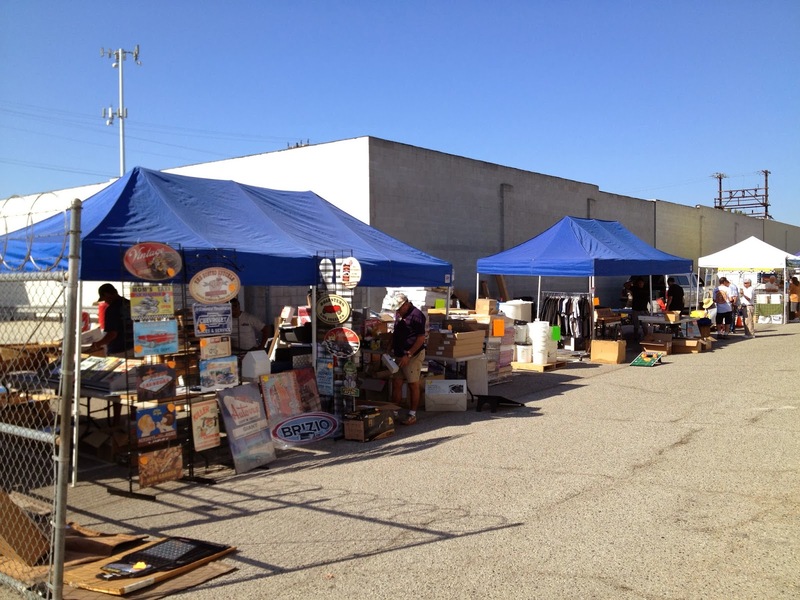 On September 20th, we will host our 6th Annual Parking Lot Sale and Swap Meet. This is the day to find huge savings on seasonal and open box merchandise from California Car Cover. The swap meet features a number of local customers, businesses and vendors looking to clean out their garages and offices. Even a few classic cars end up at our store for a few hours on this Saturday. The sale and swap is from 7am-2pm. 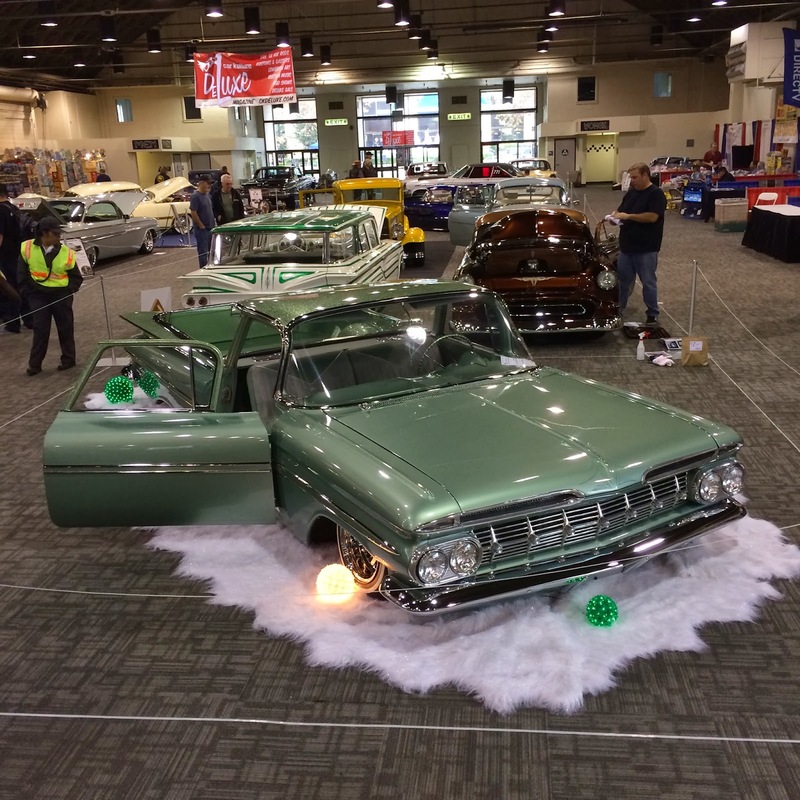 The final car show of the year at California Car Cover is our annual Classic Chevy Car Show. Drive over your 1930s-60s Chevy for a fun morning at our store on Saturday, October 11th from 9am-1pm. 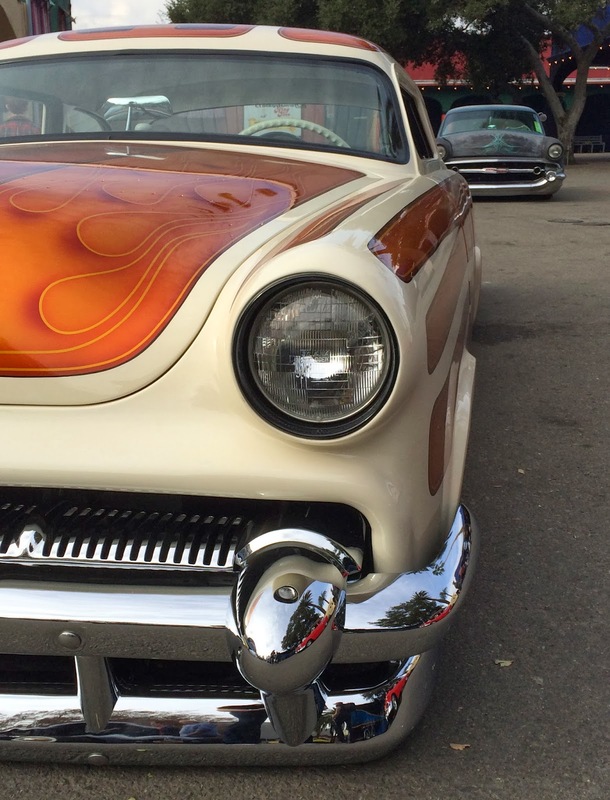 The free car show attracts a number of classic Chevy cars and trucks from local clubs. Hopefully you can make it over to our store in Chatsworth, Ca for this event. 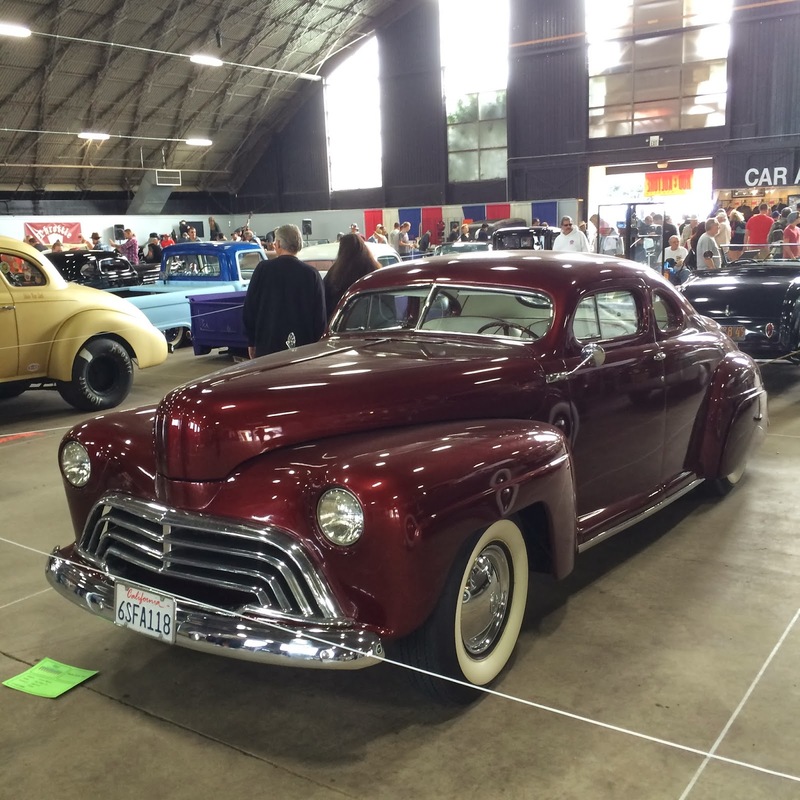 We hope to see you at one of our great California Car Cover Car Show Series events. Check out the events calendar on our website to see all the events we will be hosting or attending this year. You can see photos and videos from last year's events on our blog and YouTube channel. 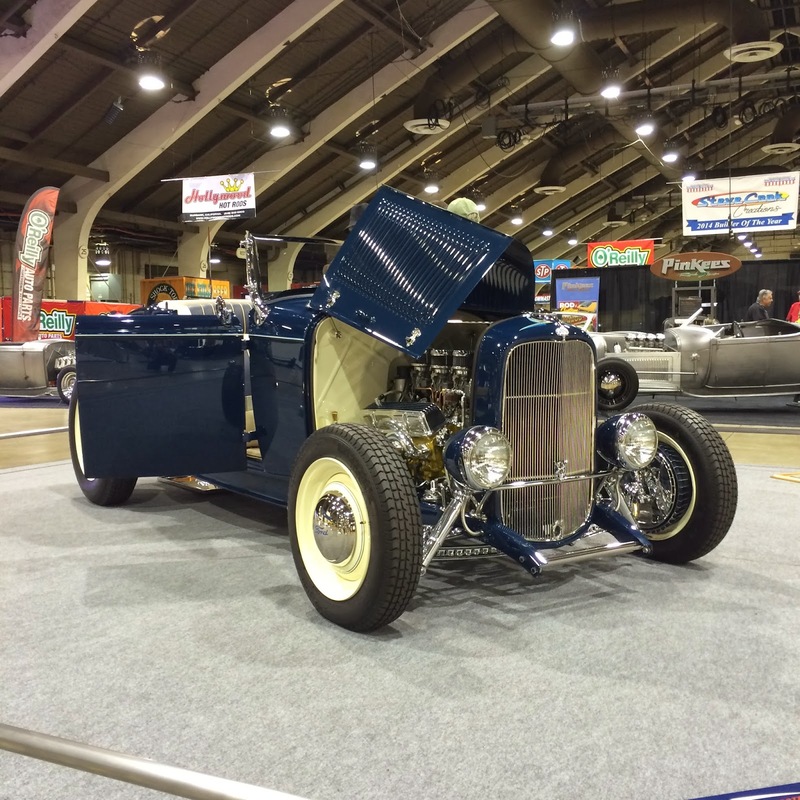 This past weekend was the 65th Annual Grand National Roadster Show in Pomona, Ca. 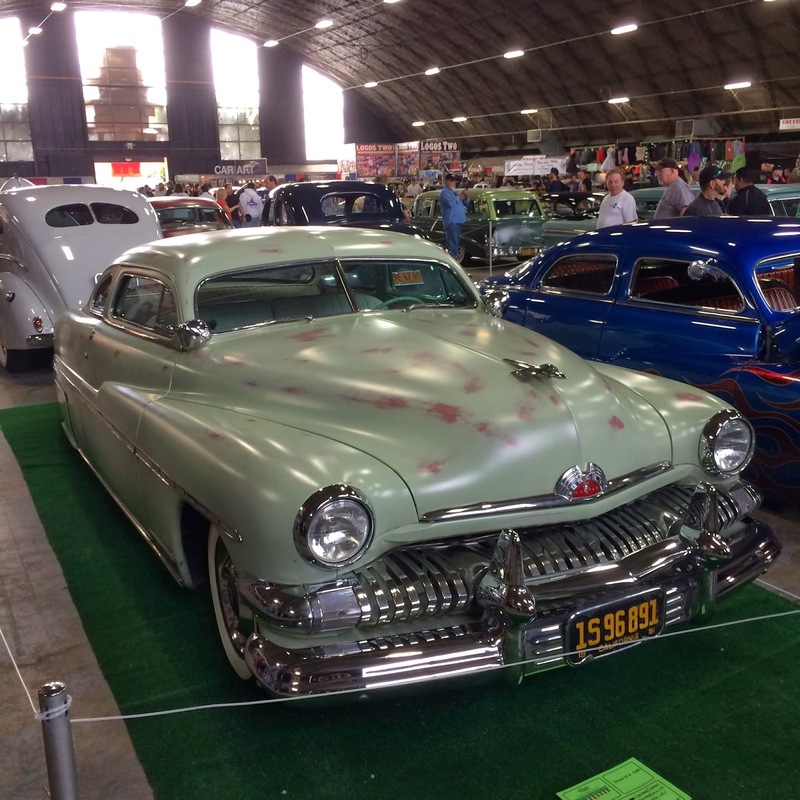 This annual car show is the first major car show of the year in Southern California and it attracts some of the most beautiful cars from all over the western US. 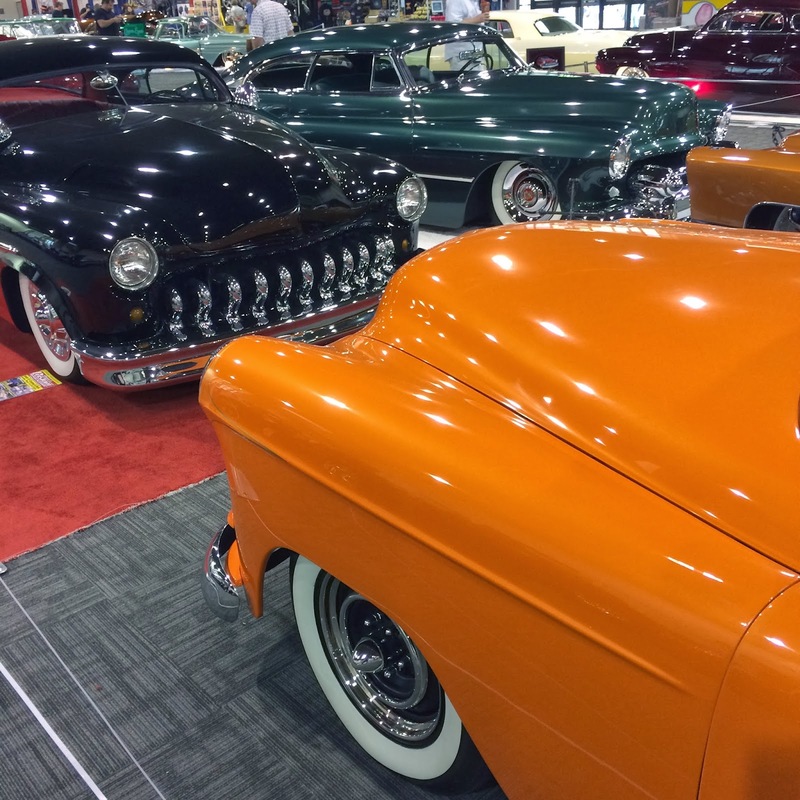 Though a handful of classics are vying for the title of America's Most Beautiful Roadster, there are always plenty of other hot rods, classics and muscle cars at the show. 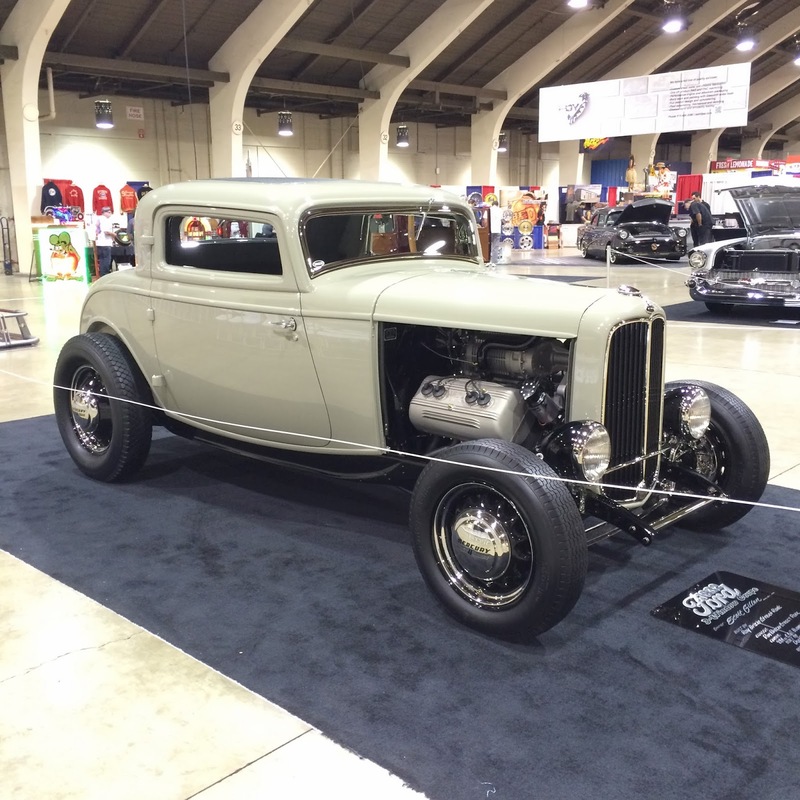 California Car Cover has been exhibiting at the GNRS for the past few years. We always have a great time at this event. 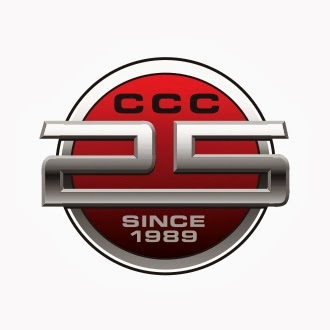 I joined the CCC Crew on Sunday to check out some classic cars and talk car care with customers. Our friends at Galpin Ford had the Iron Orchid on display. Clean Chevy El Camino in the main hall. The guys at Pure Vision had the TT Camaro on display that was unveiled at the SEMA Show last year. 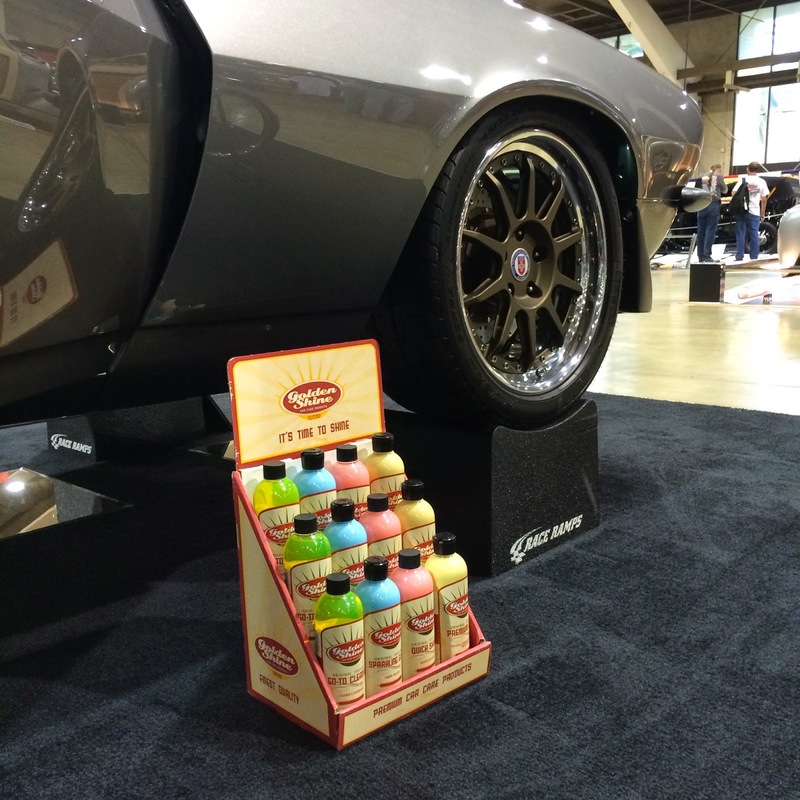 We were glad that our Golden Shine Car Care Products were helping to keep it clean. 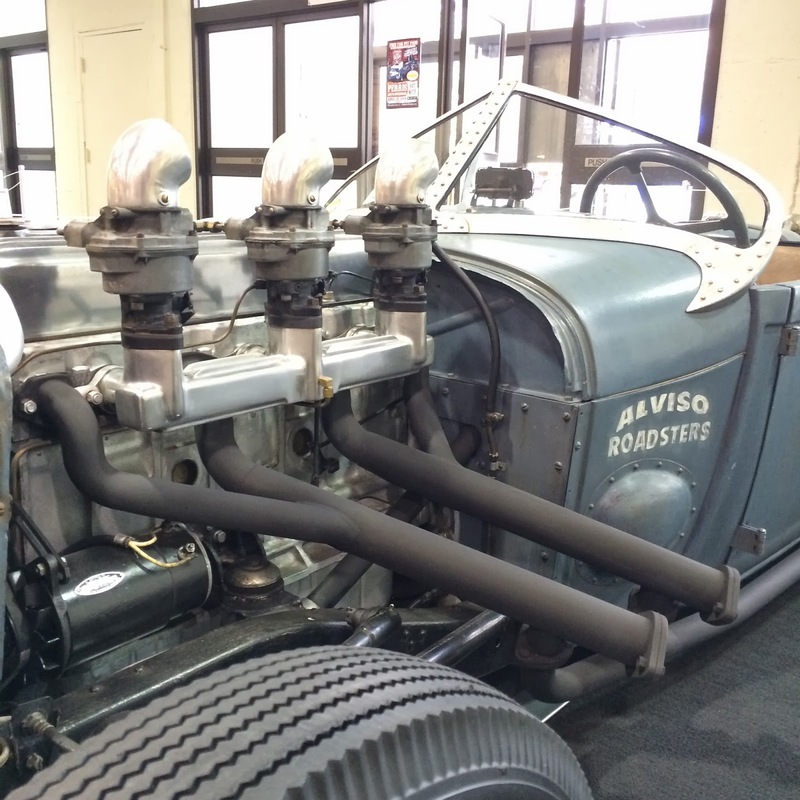 Roy Brizio and the crew at Brizio Street Rods had a number of amazing hot rods on display. The Black Pearl owned by James Hetfield of Metallica. 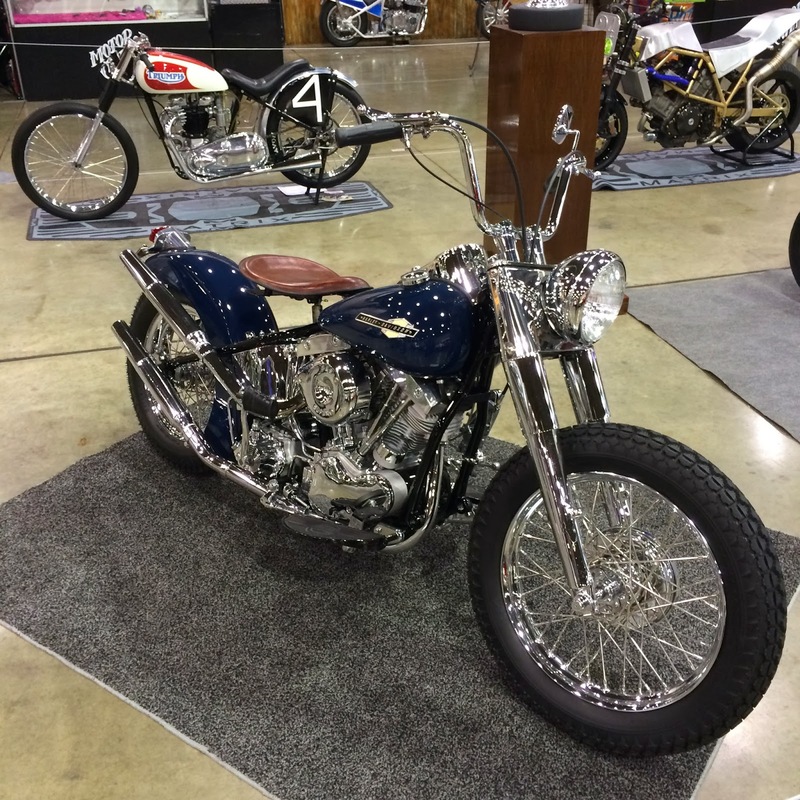 In addition to 100's of custom cars, there were plenty of custom and vintage motorcycles on display at the Grand National Roadster Show. 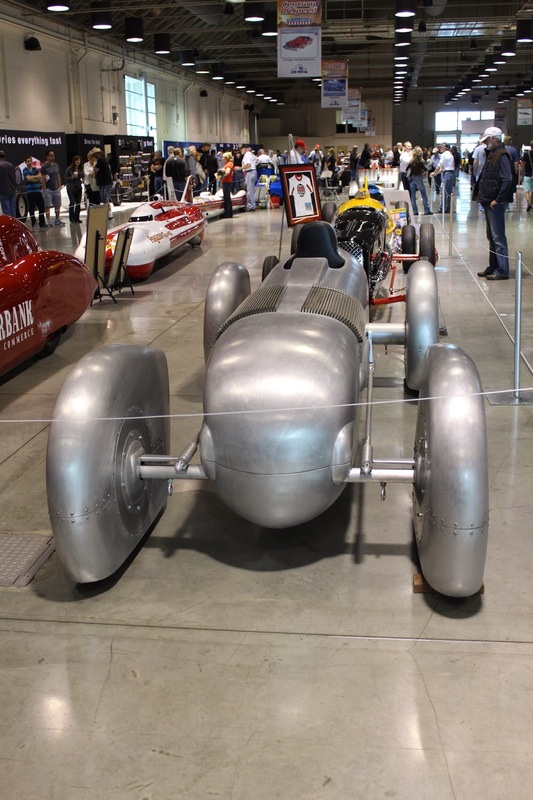 Another popular building during the Grand National Roadster Show weekend was the 100 Years of Bonneville exhibit. 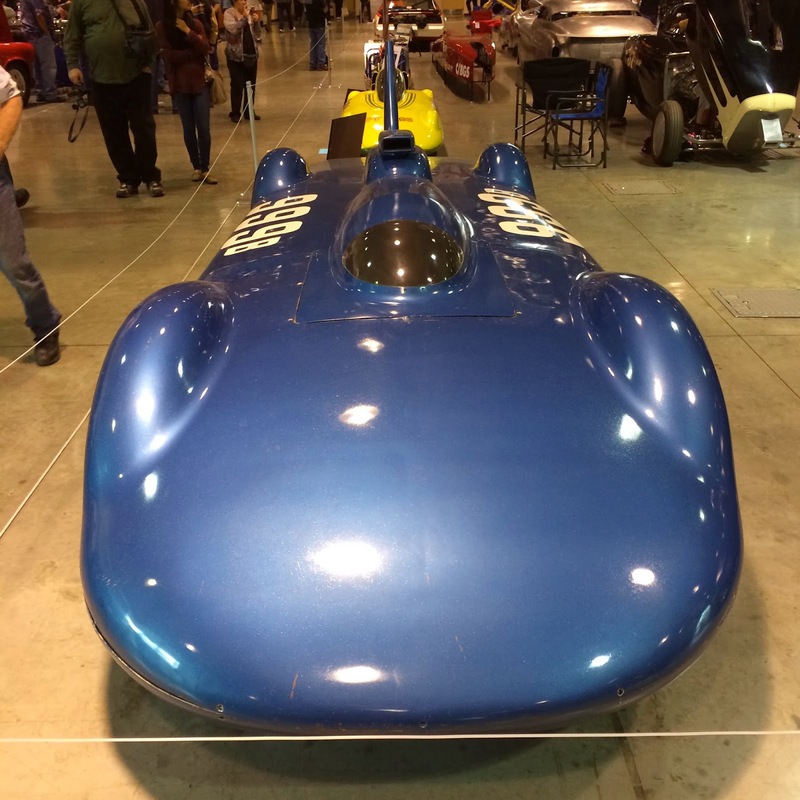 One hall was dedicated to new and legendary Bonneville race cars. 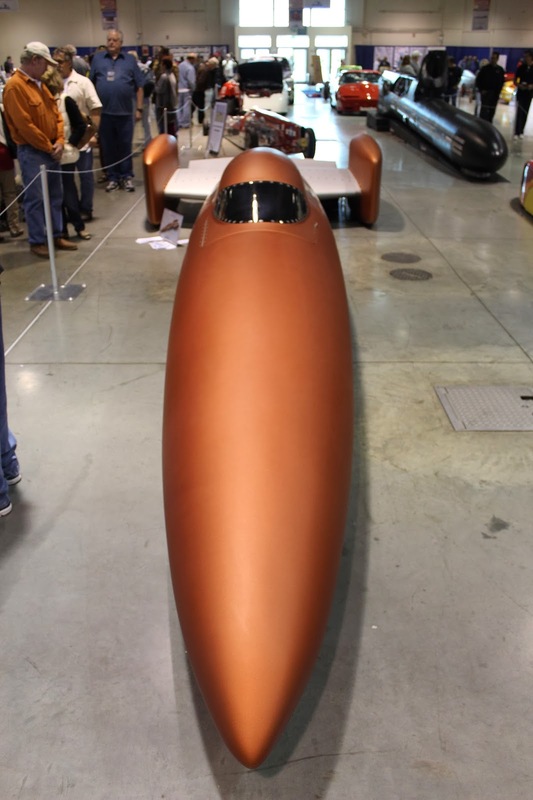 All makes and models of vintage and new land speed record chasers were on display. It was a very crowded place all weekend. 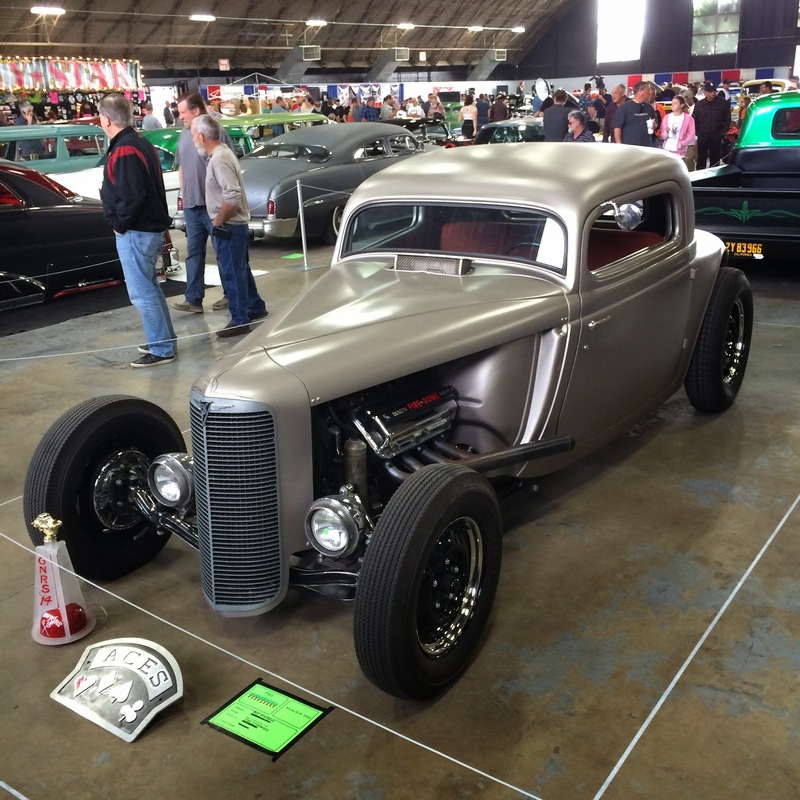 The Suede Palace is always a popular destination for hot rodders that love patina, white walls and chopped tops. 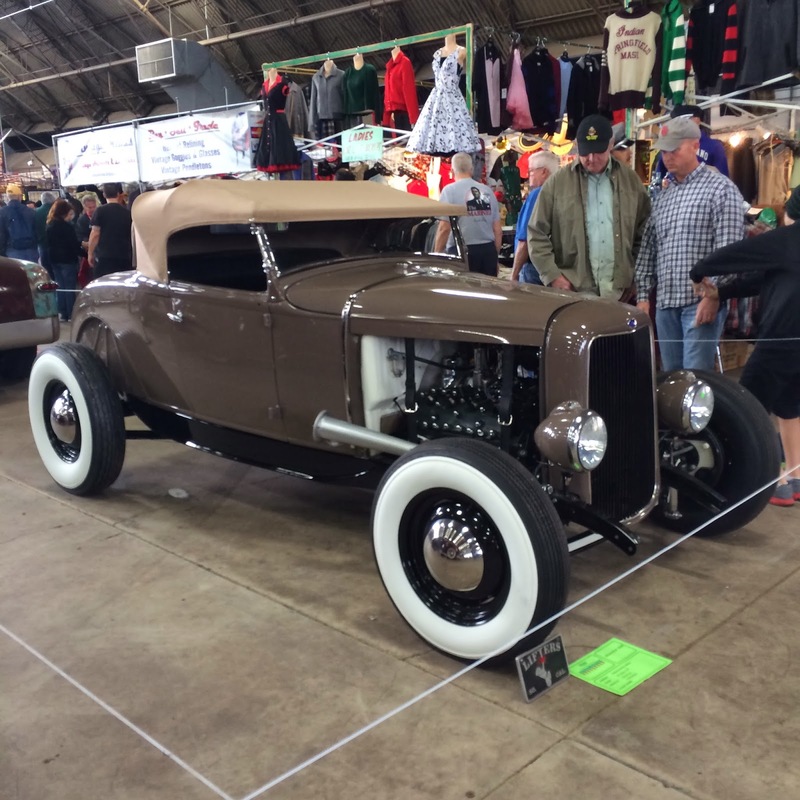 There are numerous lifestyle vendors selling art and accessories, plus plenty of unique hot rods and customs. 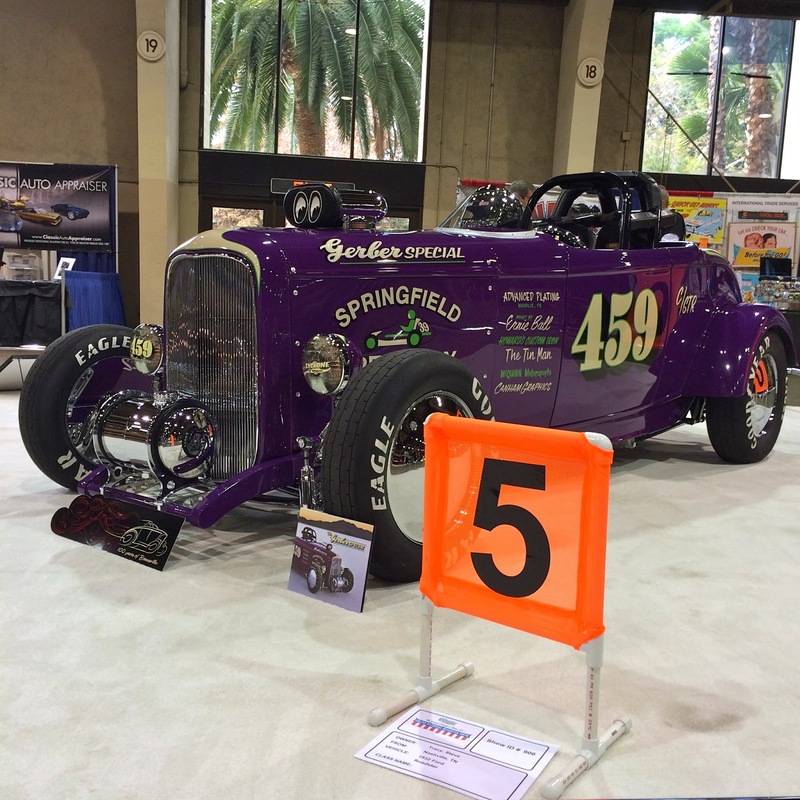 Outside of the exhibition halls there were plenty of hot rods on display all weekend too. 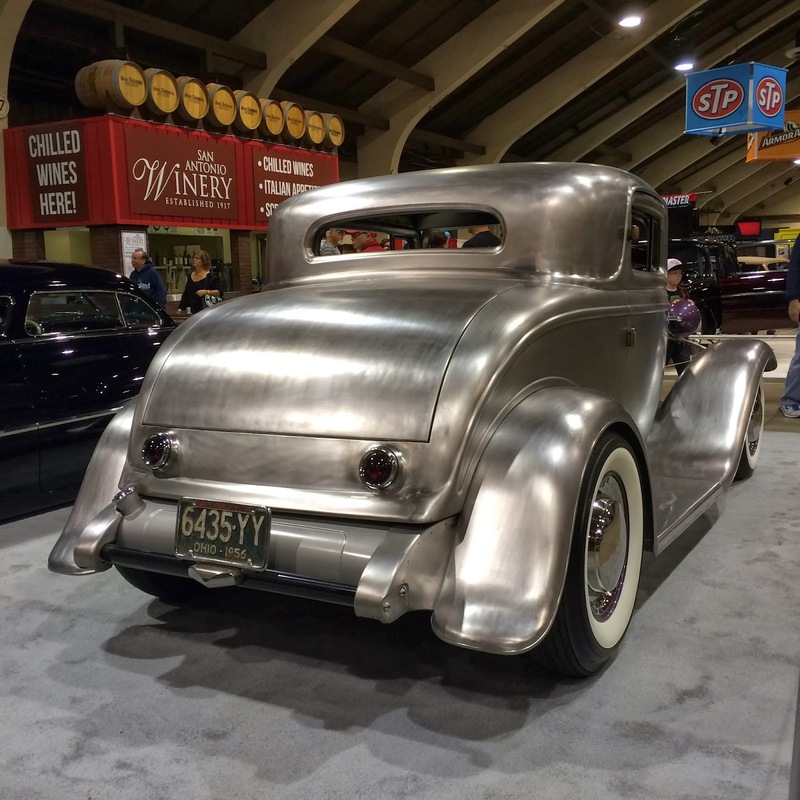 Check back in the coming weeks for more classic car event show coverage and news on California Car Cover.